Long day at work. I’ve been at it since 8 am this morning, and now it’s 10 pm. Quittin’ time! I love my work, but sometimes it’s just too much. Most importantly, it’s already Wednesday and I’ve only gone 30 miles on my bike. 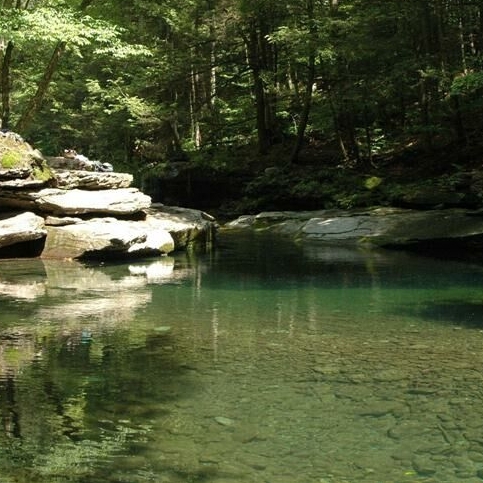 Since I can’t ride right now, I thought I’d put together a tour of the local swimming holes. I haven’t done this route, but I’ve been on all of these roads in one direction or another, and I’ve visited all these spots. Grab your long-distance bike, put on mountain bike pedals, and try it out! 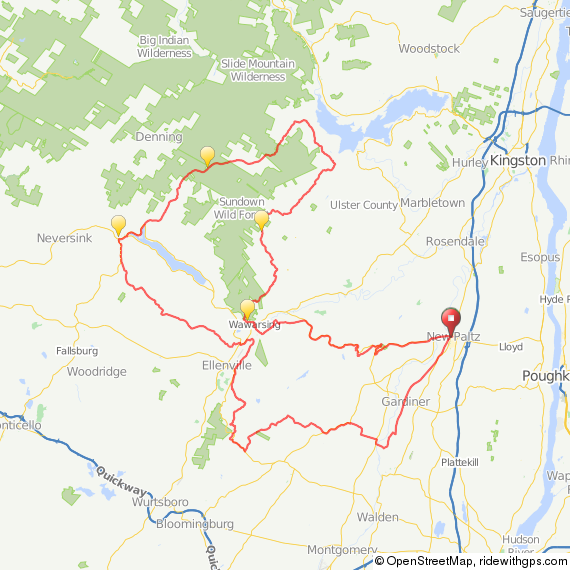 I started the route in New Paltz. 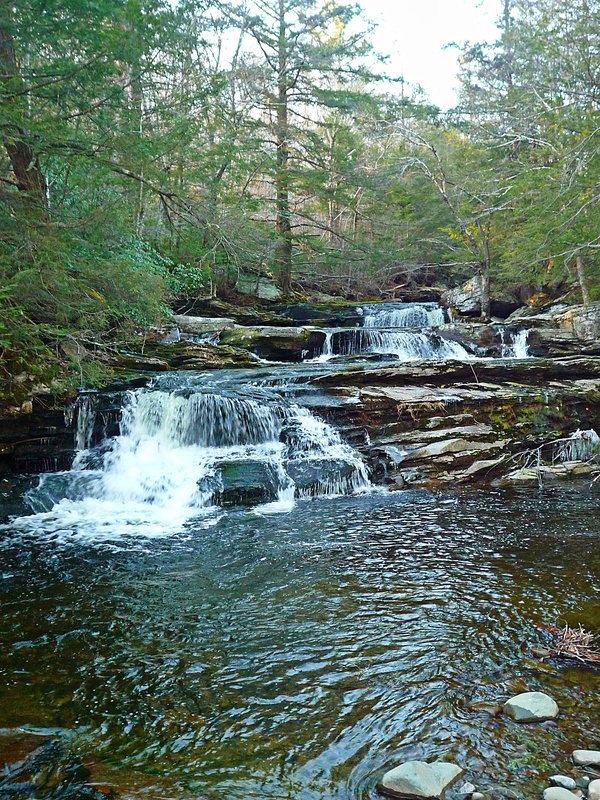 Of course, getting to New Paltz from the Poughkeepsie train station is quick and easy…just go over the pedestrian bridge and follow the trail to route 299, and then pass through New Paltz. The road is busy, but it is very flat and fast, with a wide shoulder. It’s just to get you to the good part as quickly as possible. 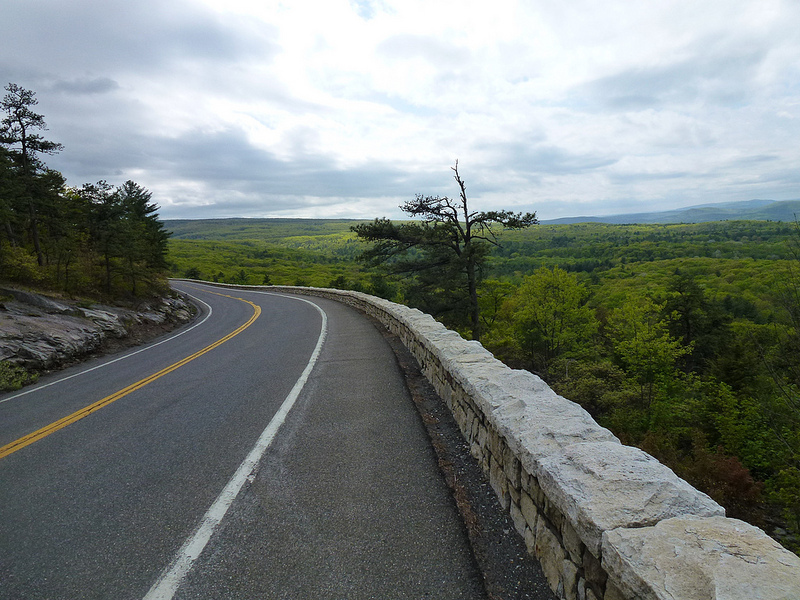 From there, you’ll continue over the Shawangunk Ridge on Route 55. Again, a little bit busier road for this area, but pretty tame compared with 9W etc. Plus the traffic calms down almost completely after you get past the parking lots for Minnewaska Park. You’ll then descend almost to Warwarsing, and cross 209, and then turn onto Lundy, where you’ll hit your first swimming hole. Now, continue on to Peekamoose Road. 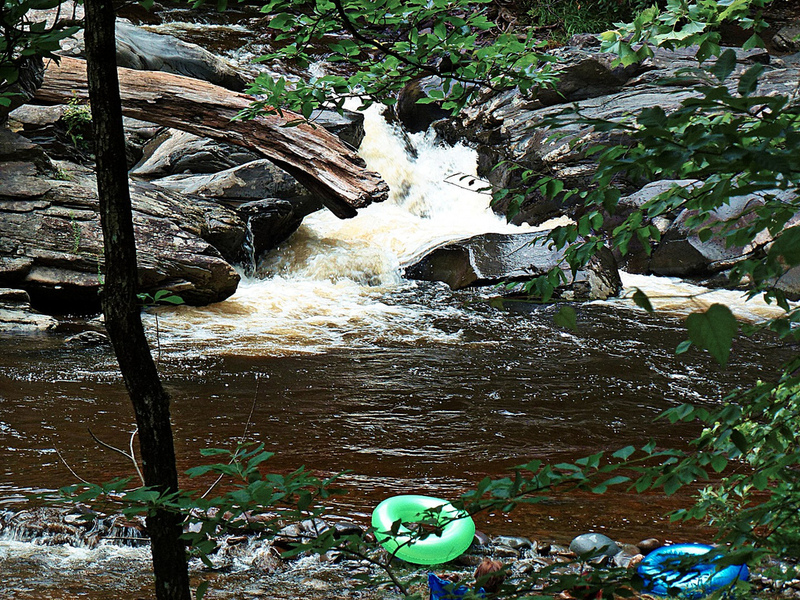 Here, you’ll find one of America’s best swimming holes, at least according to Travel and Leisure magazine. It really is pretty impressive. …and then you’ll continue on, ultimately enjoying a big descent into Ellensville. Then it’s up and over the ridge again on the Hudson Valley’s longest climb! If possible, I’d recommend taking a day off and doing this on a weekday, that way you’ll have all the swimming holes to yourself. During the weekend, you may encounter a few (very few) people. And hey, don’t forget to Win a Garmin! 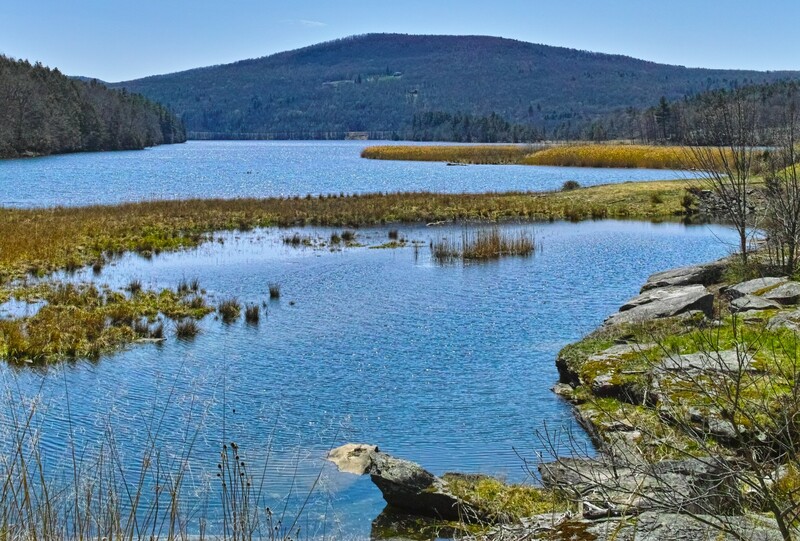 This entry was posted in bicycles routes rides, catskills, rides, routes, Worth the trip and tagged Catskills Cycling Bicycle Routes on July 10, 2013 by John Ferguson.